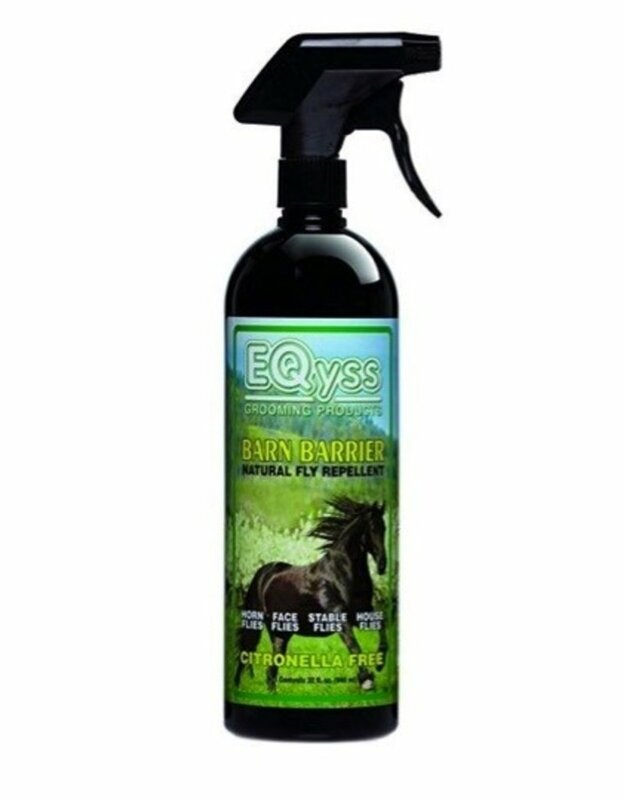 Barn Barrier Natural Fly Repellent utilizes a gentle blend of 4 botanical oils found in nature to repel flies. 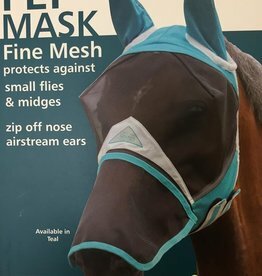 For horn, face, stable and house flies. 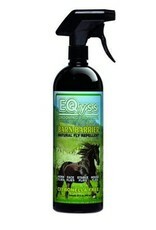 pH balanced, unlike other natural fly products; does not damage coat or hair. Clean, fresh scent. Safe for horses, ponies and foals. Citronella-free. Non-toxic; environmentally friendly. Safe for use on bedding, bridles, blankets and other tack. Non-slippery – safe for use on saddle area. Contains 0.4% lemongrass oil, 0.3% cedar oil, 0.2% peppermint oil and 0.1% geranium oil.